Quick and easy operations Planmeca Compact Classic can be equipped with either balanced instrument arms, or hanging tube instruments. Its basic instrumentation covers all necessary instruments, including an integrated electric micromotor, electric scaler, LED polymerisation light and intraoral camera. All instrument adjustments can be performed conveniently from the dental unit keyboard. 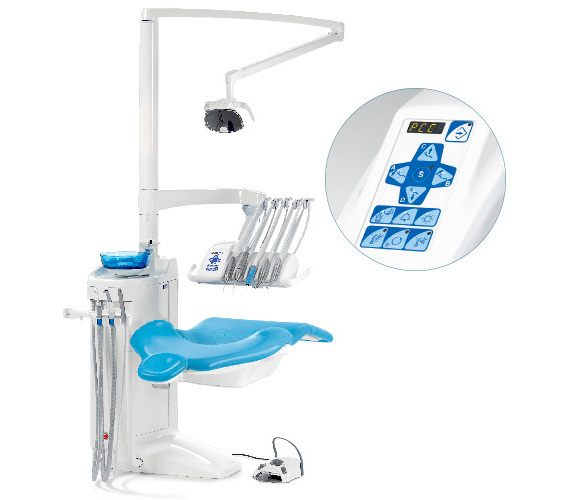 As is the case with other Planmeca dental units, Planmeca Compact Classic is equipped with a multifunctional foot control for chair, unit and instrument control.